On the South American continent, the mighty Amazon is the king of rivers, and too few people realize that the Río Paraná, which drains an area of nearly 2.6 million square km (almost a million square miles) in Argentina, Brazil, Bolivia and Paraguay, is a worthy runner-up. Depending on which tributary is considered to be its source, its length is just short of 4,000 km (almost 2,500 miles) and perhaps almost 5,000 km (more than 3,000 miles). At its southern extremity, it joins the Río Uruguay to form the Río de la Plata (River Plate) estuary. 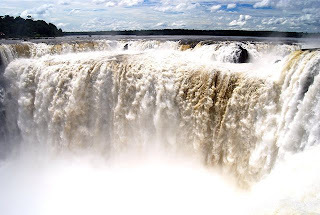 In Argentina, the biggest attraction in the Paraná drainage is the Cataratas del Iguazú, the world-famous waterfalls - more than 70 meters in height and two km across - that form part of the border with Brazil. The major reason for the establishment of national parks in both countries, they are at the moment an even bigger attraction: according to the Buenos Aires daily Clarín, heavy rains in the upper Río Iguazú basin (the Iguazú is a tributary of the Paraná) have multiplied the river’s normal flow tenfold to about 15,000 cubic meters per second. According to the newspaper’s correspondent, the water’s roar is deafening, and the river itself has turned red with sediments carried downstream. As a sight, the Cataratas are always impressive - the falls draw more than a million visitors per year - and at present they must be truly awe-inspiring. Despite the river’s flow, the ten-day weather forecast is pretty good - neither too hot nor too wet - for seeing the falls. Only a little rain is predicted, as most of water is coming from beyond Argentina’s borders. Because of the river’s size - the last time it carried this much water was nearly three years ago - this would be an ideal time to go; it’s also off-season, so accommodations prices should be lower than normal. But there’s one glitch: the flow has been so powerful that, for a few days at least, it’s eliminated access to the catwalk that leads to the Garganta del Diablo (pictured here), the single most impressive of the dozens of individual falls within the park. Park authorities expect to reopen the access within a few days, however. For those fortunate enough to be able to see the falls soon, it makes sense to stay on the Argentine side, where the views of individual falls are more up close and personal - not to mention the bureaucratic nuisance of getting an expensive Brazilian visa for US, Canadian and Australian visitors (even more expensive if done in the Argentine border town of Puerto Iguazú, which has a Brazilian consulate. Brazil, unfortunately, inundated its own Iguazú, Sete Quedas, to create massive Itaipú hydroelectric project on the border with Paraguay. Also known as Guaira, Sete Quedas had an astonishing flow of 50,000 cubic meters per second, making it the world’s largest waterfall in terms of volume. 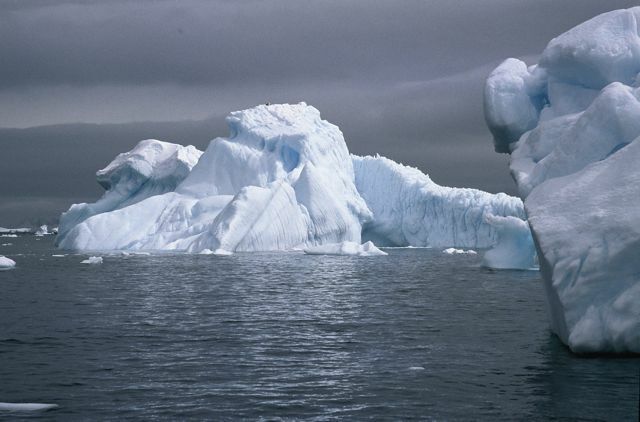 According to Montevideo-based Mercopress Noticias, big cruise ships may not be long for the Antarctic. Many but not all of the mega-cruisers, which can carry thousands of passengers at a time on routes around Cape Horn from Brazil or Buenos Aires to Valparaíso, detour to Antarctica. But because of their size and limited vulnerability, they are unable to make any landings on the frozen continent, its islands, or the Antarctic Peninsula - in effect, they are nothing more than iceberg sight-seeing photo opportunities. The problem with the cruisers, though, is neither their size nor their shortcomings in getting to learn something about Antarctica - at least not directly so. Rather, the problem is the heavy diesel fuel - banned by the International Maritime Organization (IMO) since Gap Adventures’ M/S Explorer sank in 2007 - that they require for powering their engines. Under new regulations due to take effect before the 2011-2012 season, vessels will not even be allowed to carry such fuel, let alone burn it, beyond 60° S latitude. The lighter fuel, meanwhile, is more expensive than the heavy fuel. Some cruise lines have already announced their intention to leave the Antarctic market, and according to the International Association of Antarctic Tour Operators (IAATO), the number of passengers aboard oversize vessels (of more than 500 passengers) will fall from more than 14,000 passengers in the upcoming season to fewer than 7,000 when the regulations take effect. 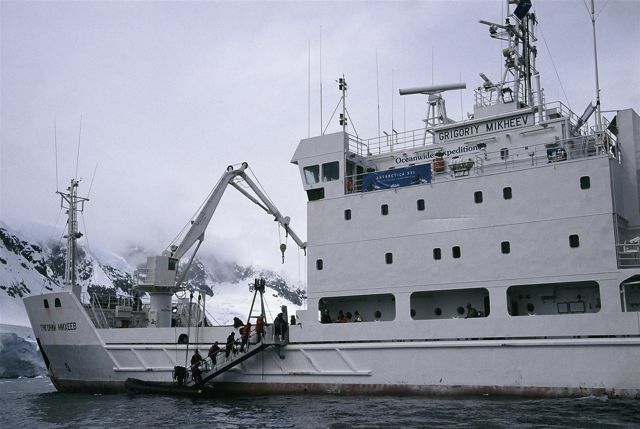 Fortunately, there are far better Antarctic opportunities on smaller vessels, such as the Grigoriiy Mikheev (pictured here), which use the lighter fuel, mostly sail from the Argentine port of Ushuaia, and rarely carry more than about 100 passengers. This permits them not only to approach the shoreline but also to disembark their passengers on board Zodiac rafts to view penguins, seals, and sea lions - as well as current Antarctic bases and the ruins of earlier bases - up close. At the same time, though, the new regulations mean the cost of Antarctic tourism is likely to rise. For those wishing to see Antarctica on a relative budget, the 2010-2011 season might be the time to go. 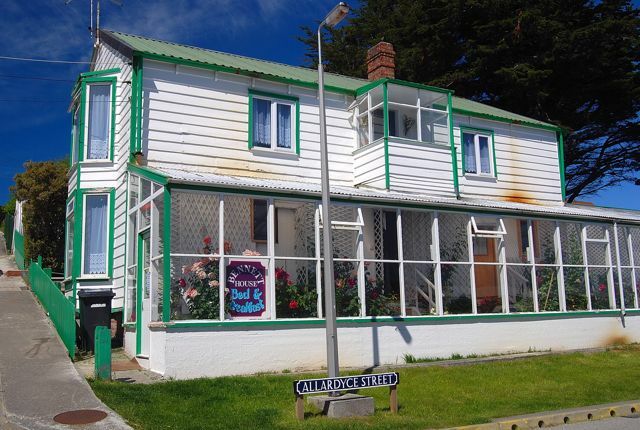 Meanwhile, to the east of the South American continent, the Falkland Islands are gearing up for the coming season with a new tourism director and a much improved Visitor Falklands website that’s much friendlier to land-based passengers than in the past. While most Falklands visitors still arrive by cruise ships and spend relatively little time on land, the best way to see the Islands and their cornucopia of sub-Antarctic wildlife is overland to locales such as Volunteer Point, or by small plane to offshore islands such as Pebble, Saunders, and Carcass. 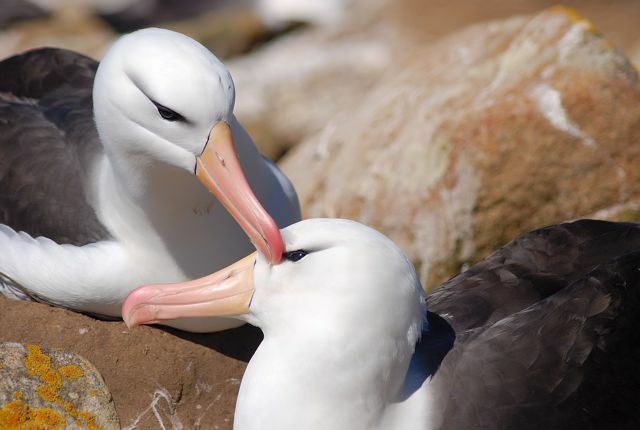 Reached by air from Punta Arenas (Chile) or from the United Kingdom via Ascension Island, the Falklands are the best place to see penguins, other seabirds (such as black-browed albatrosses, pictured here), and marine mammals without visiting Antarctica itself. 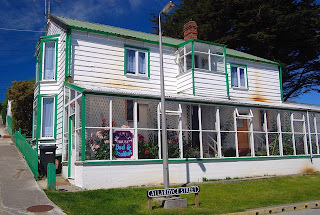 The upgraded website includes a thorough Falklands Accommodations Guide that will help land-based visitors have a better idea of what to expect here (where accommodations are mostly of a high standard, but can vary from self-catering shanties to converted ranch managers’ houses (such as Port Howard Lodge) to cozy B&Bs (such as Celia Stewart’s Bennett House, pictured above) to purpose-built hotels (Malvina House) and wildlife lodges (Sea Lion Lodge). The Islands get thorough coverage in Moon Patagonia, which I will be updating later this year. 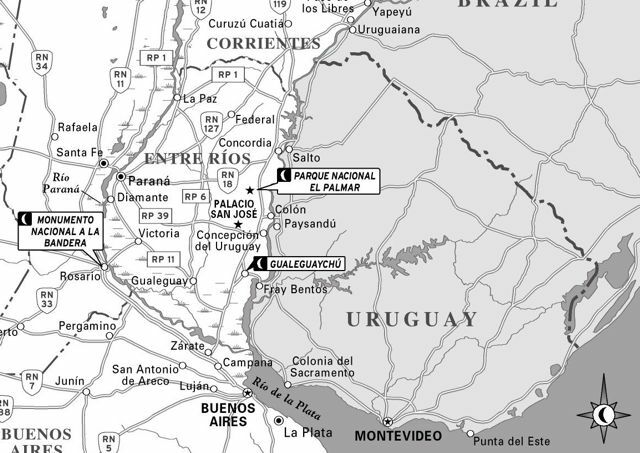 Just two days before Earth Day, the International Court of Justice in The Hague settled, presumably, a longstanding dispute between Argentina and Uruguay over a pulp plant on the Río Uruguay, the border between the two countries. The Finnish company Botnia built the US$1.1 billion plant in the Uruguayan city of Fray Bentos, across the San Martín bridge from the Argentine city of Gualeguaychú, in Entre Ríos province. Fray Bentos was once the site of the Liebig Extract of Meat Company, which produced canned corned beef that was widely distributed in Europe, and the bouillon cubes known as Oxo; its site is now a museum. 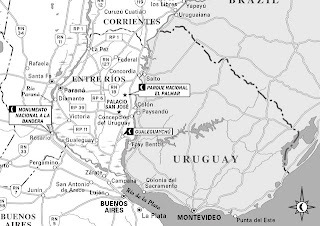 Best known as the home of Argentina’s Carnaval del País (National Carnival), Gualeguaychú has acquired an undesirable notoriety over the past several years as a handful of protestors have, in effect, controlled the border by blocking the bridge over the river. The Court’s Solomonic ruling allowed both sides to claim victory: it agreed with Argentina that Uruguay violated a 1975 treaty by not consulting with Argentina over the plant, but also agreed with Uruguay that there was no evidence that it was causing any pollution whatsoever. Uruguay will not need to move the plant - the most expensive project in Uruguayan history - or pay any sort of compensation to Argentina. It will, however, need to consult with Argentina on any further developments on the fluvial border between the two countries. The ruling, though, does not touch on the controversial issue of the border blockade, which for four years has virtually eliminated traffic and commerce through what, historically, has been the busiest border crossing between the two countries. In effect, the administration of former President Néstor Kirchner and the current government of his wife, Cristina Fernández de Kirchner, have abdicated control of the border - normally administered by Argentine customs and immigration. Technically, it’s still controlled by customs and immigration, but picketers have blocked the approaches and threatened anyone who wants to travel to Uruguay. Buses from Buenos Aires now have to use more northerly crossings at Colón (100 km north) or Concordia (a further 100 km), adding time and expense to any trip to Montevideo. The issue, according to an editorial in yesterday's Buenos Aires Herald, is that “Ultimately no court in the world can tell an administration how to deal with the chronic domestic matter of protesters who block roads to voice demands. It is the President who after The Hague must now address the same question pending since 2006: should authorities allow an international bridge to be blocked forever?” According to an article in the Buenos Aires daily Clarín, meanwhile, the intransigent protestors do not appear ready to abandon their blockade, having refused an offer from the governor of Entre Ríos to even discuss the topic. Meanwhile, Argentine Foreign Minister Jorge Taiana has called on the protestors to respect the Court’s ruling, and Fernández de Kirchner is due to meet with newly elected Uruguayan President José Mujica next Wednesday, a conclave at which the topic will undoubtedly come up. It’s still anybody’s guess, though, whether Uruguayans will be able to attend the 2011 Carnaval in Gualeguaychú. 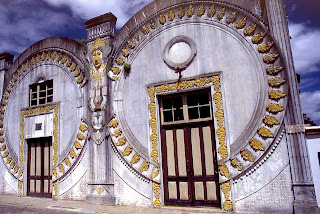 In Buenos Aires, I live just a couple blocks from the Museo Evita, and only a 20-minute walk or so from her tomb at the Cementerio de la Recoleta, which I revisit regularly in the course of updating Moon Handbooks Buenos Aires and my other titles. The cemetery has always been an attraction (though not just for Evita) but the museum, which opened in 2002 on the 50th anniversary of her death, has become a significant destination as well. Evita’s post-mortem odyssey, fictionalized in the late Tomas Eloy Martínez’s novel Santa Evita, is a surrealistic tale made even more outrageous in that most of what Martínez wrote is fact: her elaborate embalming by the mysterious Spanish doctor Pedro Ara (pictured here, with Evita), her “residence” at the CGT labor union headquarters, her corpse-napping by the military (which included a stint with an infatuated officer), the surreptitious shipping to an anonymous grave in Italy, and a post-mortem prisoner exchange (for the assassinated General Pedro Aramburu) that left her at Juan Domingo Perón’s Madrid residence-in-exile. 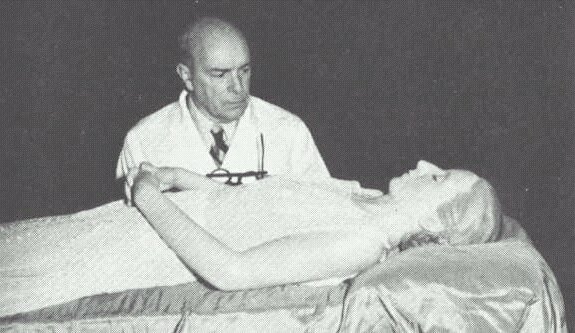 Finally, after Perón’s death in 1973, his widow Isabel (who had lived alongside the mummy in Madrid and succeeded him as president) brought Evita to Argentina, where she eventually ended up in the Duarte family crypt beneath her birth father. 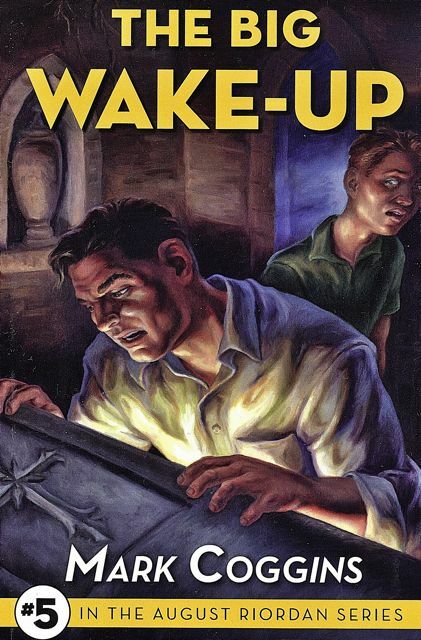 It may be hard to imagine a more implausible story, but on a recent visit to Robert Wright’s exceptional Recoleta website, I encountered a brief blurb on San Francisco author Mark Coggins’s The Big Wake-Up, an action-mystery novel based on the premise that the real Evita - there were in fact several replicas of her corpse - had ended up in Oakland’s historic Mountain View Cemetery, barely a ten-minute walk from my California home. Wherever I go, apparently, Evita’s never far away! 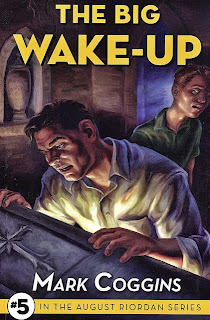 Having recently read the book, I don’t intend to give away too much of the story, but it involves Coggins’s wise-cracking private investigator August Riordan and two parties that want Evita’s body: an Argentine politician and his military allies, and an outlandish disciple of Dr. Ara’s who tries to embalm everybody she can in the process. With an obvious debt to the great Raymond Chandler, it’s fun bedside reading before or after a trip to Buenos Aires, or on the plane. Argentina may be unique among the world’s nations in celebrating two independence days. The first is 25 de Mayo (May 25th), which coincides with the 1810 Revolution that declared the Spanish viceroy in Buenos Aires illegitimate (because the government that appointed him no longer existed), and marked a starting point for the South American wars of independence. The second is 9 de Julio (July 9th), which corresponds to the date at which the United Provinces of the River Plate (forerunner of contemporary Argentina) declared formal independence at the city of San Miguel de Tucumán in 1816. Argentina has chosen to celebrate the former date, barely a month away, for its bicentennial. 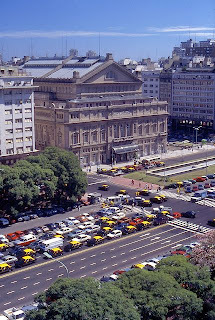 To that end, it’s undertaken an ambitious program of modernization and upgrades for many of the country’s top cultural attractions: the Teatro Colón (pictured here, before the scaffolding went up) and San Telmo’s Museo de Arte Moderno, among others, and privately run institutions such as Palermo’s Museo Evita. It’s also meant, at the same time, that these sights have been either closed or open only by limited access for much of the last year (or, in the case of the Colón, for several years). Surrounded by scaffolding, they’re barely visible, though the Colón, at least, has a temporary Centro Vivencial (visitor center) to suggest what the rejuvenated opera house will be like when it reopens. That grand reopening is due take place May 25th, with the traditional presidential command performance with, presumably, the popular guided tours due to resume shortly thereafter. The Museo de Arte Moderno, though, is well behind schedule and will not reopen until late this year, probably for the start of the spring tourist season in October or so. 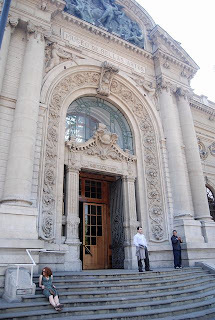 Despite the scaffolding, the Museo Evita remains open, along with its highly regarded restaurant. For those of you who can’t visit Argentina this year, Argentina may be coming to you - at least to those of you who live in or around Washington D.C. In honor of the bicentennial, the Smithsonian Institution is hosting a series entitled “Argentina at the Smithsonian 2010,” with a diversity of events that will include tango (both live and on film), popular music, lectures on topics such as wine and the military dictatorship of 1976-83, and poetry. Art events will include a meet-the-artist interview with Guillermo Kuitca and a “Contemporary Argentine Masterworks” exhibition that will include figures such as León Ferrari. 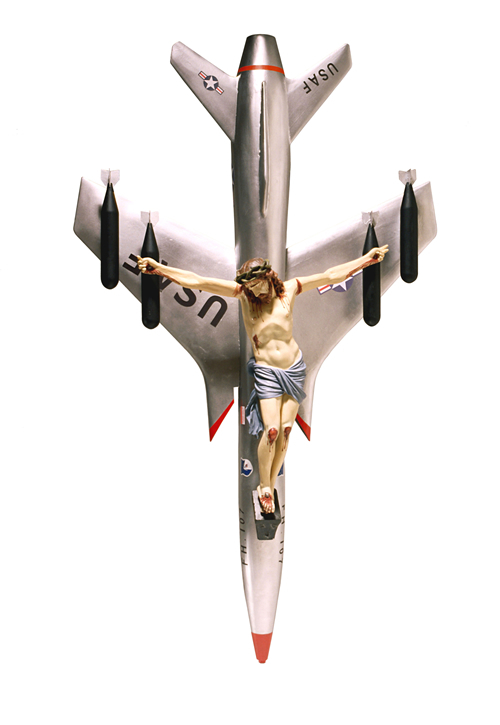 Whether the masterworks will include the controversial Ferrari’s “Christian and Western Civilization” (pictured here), a protest against the bombing of Vietnam in the 1960s, is uncertain (I have visited Ferrari in his Buenos Aires apartment, and it’s hard to reconcile this soft-spoken 90-year-old man with such outspoken protest). For those unable to visit either Argentina or the Smithsonian in 2010, meanwhile, there’s an alternative: there are six more years to plan for the country’s second bicentennial on July 9, 2016. By then, perhaps, all the renovations will be complete. Every once in a while, I get inquiries from people who want to travel on Argentine trains, probably because of the ironically romantic vision propagated by Paul Theroux’s overrated opus The Old Patagonian Express. 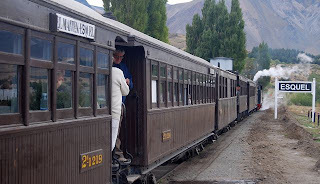 Theroux's book was a self-indulgently dyspeptic rail journey through the Americas that ended on the narrow gauge train (pictured here, now exclusively a tourist attraction) from the hamlet of Ingeniero Jacobacci to the city of Esquel. As politely as possible, I tell visiting railfans not to bother - except for serious foamers, long-distance train travel in this country is trial and tribulation. At one time, the British-built Argentine rail system was the envy of the Americas but, under the populist Perón regime in the late 1940s and early1950s, it became more important to keep fares low than to maintain service and even rolling stock. By the time I first traveled on Argentine trains in the early 1980s, the system was so decapitalized and deteriorated that we would spend hours in unexpected delays in the middle of the Pampas, with no heat in winter and no cooling in summer. Once, on the Ferrocarril San Martín line from Buenos Aires to Mendoza (a route which no longer exists), the entire train was packed with conscripts, who could travel free of charge so long as they stood - which they did for the whole 24-hour trip. Former President Carlos Menem catches a lot of flack for the rail system’s deterioration, as he privatized so many state services in the 1990s, but in reality Argentine railroads were beyond repair - almost literally - long before then. In the interim, comfortable long-distance buses, with sleeper service that almost matches airlines’ business class - at least in comfort and spaciousness - have superseded them. They are also far faster than the remaining trains. 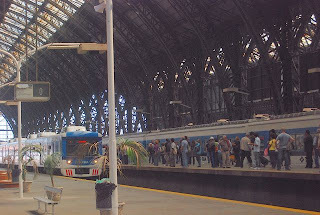 Still, at intervals, the resurrection of the rail system becomes a hot topic, as it did two years ago when the government presumably reached a deal with French interests to build a bullet train between Buenos Aires and Córdoba via Rosario, thus linking Argentina’s three largest and most commercially important cities. This would cut travel time to Córdoba to three hours (as opposed to nine by bus). Nobody is holding his breath for this to happen, though. 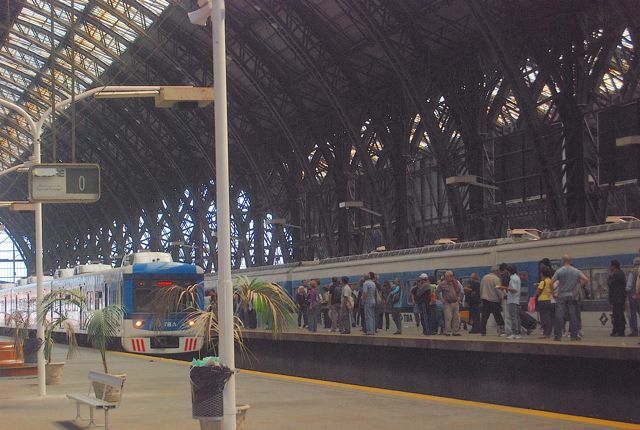 Yesterday, the Buenos Aires daily Clarín published an account of a recent rail journey from Retiro station (pictured here, with a commuter train at the platform) to Córdoba that took 15 hours - but only because it covered half the route by bus when the train broke down. Its average speed was 43 km per hour, and nowhere was there any sign of the so-called bullet train. The link above includes a film clip that sardonically contrasts today’s train services with those of yesteryear. When Porteños want to get out of Buenos Aires, the closest option is the suburb of Tigre, the gateway to the Paraná delta. 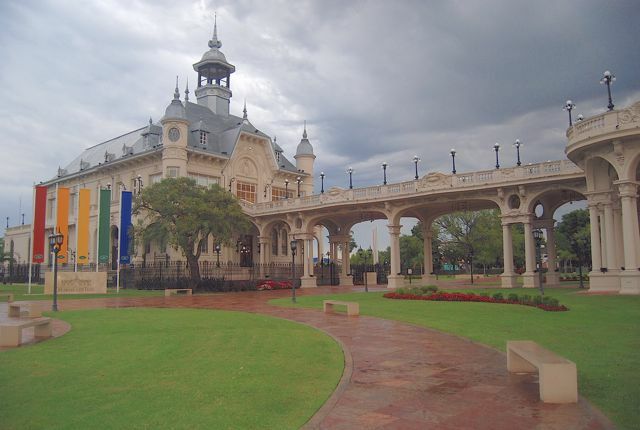 Barely half an hour from downtown’s Retiro station, Tigre is a riverside greenbelt city that’s the terminus of the Mitre railroad, a commuter line for the Argentine capital’s prosperous northern suburbs. It’s quick and cheap to get there - believe it or not, the fare to Tigre is 1.35 pesos, approximately 35 US cents! My Thursday excursion, though, started from the barrio of Belgrano, whose station is closer to my own Palermo apartment. 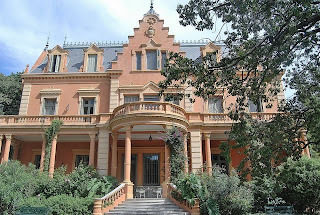 I made a stopover at Béccar, five stops south of Tigre, to see Villa Ocampo (pictured here), the country home of writer Victoria Ocampo (1890-1979). Ocampo, born to wealth and privilege, created the literary journal Sur and entertained world-class writers, including Graham Greene, Federico García Lorca, and André Malraux here, not to mention her own countrymen such as Jorge Luis Borges and novelist Adolfo Bioy Casares (married to Ocampo’s sister Silvina, a poet). Open to the public, now a museum and cultural center, Villa Ocampo is a Belle Epoque house built by her parents on an enormous lot that once stretched all the way to the river. Today, the grounds are much reduced - though most of us would still consider the gardens enormous - and it’s only a seven-block walk through wooded streets from the train station. It’s best, though, to time any visit for a guided tour, as self-guided visitors may only see the ground level - the first floor, where Ocampo herself slept and her distinguished guests had their own spacious rooms, is otherwise off-limits. In Tigre, meanwhile, my primary goal was to visit the new Museo de Arte Tigre (MAT), occupying the spectacularly restored Tigre Club (pictured here, dating from 1913). 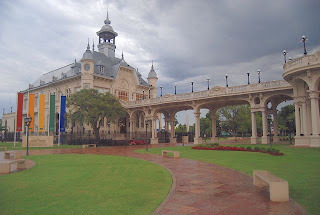 Though it once housed a hotel and casino, it now displays figurative works by Argentine artists from the late 19th to the 20th century, stressing but specializing in landscapes, portraits, and still lifes linked to Tigre. The first-floor terrace that extends to the riverside offers great rivers of the river and its parkland. Artists represented include major figures such as Antonio Berni, Benito Quinquela Martín, and Juan Carlos Castagnino, but it also holds special thematic exhibits. Currently, it’s hosting a series of three dimensional pieces by “Artistas Plásticos Solidarios en el Mes de la Memoria” (Plastic Artists in Solidarity in the Month of Memory), memorializing the victims of Argentina’s 1976 coup and subsequent “Dirty War” in conjunction the March 24th anniversary, now a holiday for reflection - and protest - in the country. I’ve not even mentioned my favorite Tigre-area destination, the bedrock island of Martín García, a full-day excursion reached by Cacciola catamaran from Tigre. 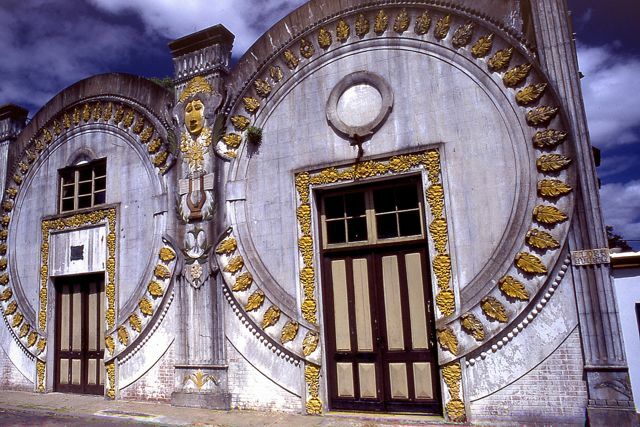 Once a penal colony, Martín García is still a halfway house for prisoners from Buenos Aires province, but it’s also home to lush gallery forests and some unexpected architectural masterpieces - such as its rococo theater (pictured here). While finishing up the manuscript of the new edition of Moon Handbooks Buenos Aires in the Argentine capital, I’ve also been keeping an eye on developments in Chile before heading back to California next week. Despite Sunday’s 7.2 earthquake along the Mexican border, I have no qualms whatsoever about returning to the Bay Area, which is roughly 500 miles (800 km) to the north - just as most of Chile is far from the epicenter of the February 27 event, and has seen little or no damage. Dona’s mention of the US$131 reciprocity fee, about which I’ve written several posts (also describing Argentina’s similar recent measure), deserves additional comment. According to Terence Lee, who wrote me from Chile yesterday, “The reciprocity fee was suspended for a few days after the earthquake. It is now being collected as normal.” Nevertheless, a highly placed private sector individual has written me that “We’re working on that, and now that there’s a new government we’ll see if they’re more receptive” to eliminating the fee (for US citizens and those of other countries who impose a similar visa fee on Chileans). That would be another positive step toward reactivating the travel and tourism sector. Historically, South America is a Catholic continent, where Spain’s colonial legacy, in countries such as Argentina, helped make it the official religion. Pre-Columbian South America, of course, had its own belief systems - which haven’t all disappeared - but after independence the continent’s religious diversity increased dramatically. In Argentina, this meant an influx of Russian Orthodox Catholics, Protestants of various denominations, Jews, Muslims and others. In fact, the Argentine state still provides economic support for the Church, even paying the salaries of bishops - though a 1994 constitutional reform eliminated the requirement that the president be a Roman Catholic. It also deleted a particularly anachronistic clause that required the state to “maintain a peaceful relationship with the Indians and promote their conversion to Catholicism,” but even these reforms overlook the fact that Argentina is a more secular country than in the past. Despite the Catholic tradition and the growing presence of evangelical Christians, for instance, Semana Santa (Holy Week) is as much or more a four-day getaway as it is a strict religious observance. In my Palermo neighborhood, on Good Friday, there was little sign of any religious influence despite the presence of a large church less than a block away. Some businesses had closed early, though - I had to walk a couple extra blocks to get my morning paper, for instance, because my nearby newsstand was shut. Government offices, of course, were closed, given their liberal holiday benefits. 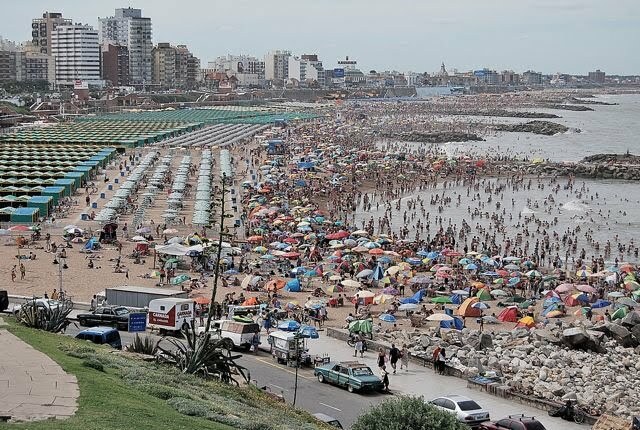 While it’s true that about 40,000 people participated in the Via Crucis (Stations of the Cross) march from the Plaza del Congreso to the Catedral Metropolitana, at least twice that many spent the weekend sunning themselves in the Buenos Aires province beach resort of Mar del Plata (pictured above). 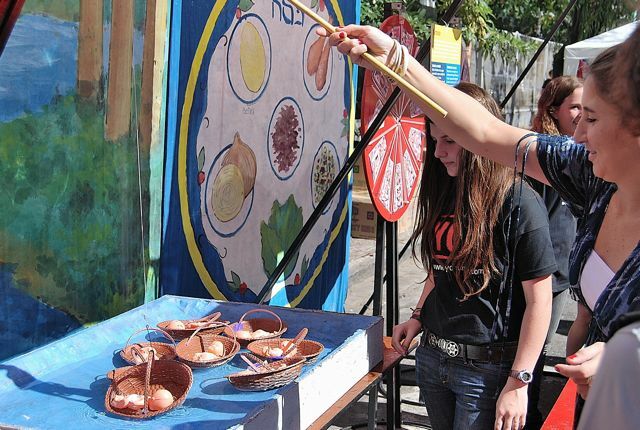 Even last weekend’s Pesaj Urbano, the Passover fair that closed two blocks alongside Palermo’s Plaza Armenia, seemed far more secular than religious. With live klezmer music, games on themes such as rescuing Moses from the reeds (as pictured here), the annual Jewish festival (Argentina’s Jewish community of about 200,000 is the world’s sixth-largest) felt more like a cultural/commercial county fair in the United States. 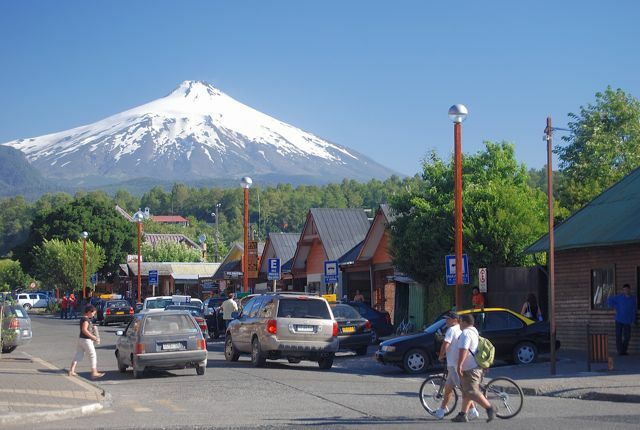 That said, Argentina has not gone nearly as far as militantly secular Uruguay, where the four-day break is officially known Semana de Turismo (Tourism Week). Secularization there dates from the early 20th century, when the government forbade crucifixes in hospitals, prohibited the army’s institutional presence in religious ceremonies, eliminated the position of military chaplain, and decreed that the flag could not be lowered for religious symbols or individuals. 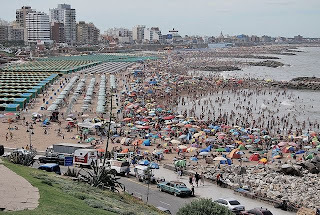 Later, in 1919, the government of José Batlle y Ordóñez created Semana de Turismo (which is how Uruguayans normally refer to it) and changed December 8’s Día de la Vírgen (Immaculate Conception) to Dia de las Playas (Day at the Beach). At the same time, Christmas became the Fiesta de la Familia (Festival of the Family).